So far in this journal of my European Tour 2013, we’ve revisited our adventures in Paris and played with fast cars and harp guitars in Le Mans. Now we’re visiting an ancient castle, toy museum, and more playing with harp guitars. 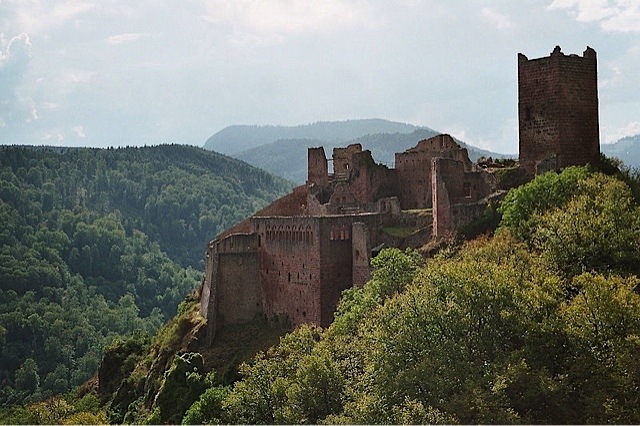 The next leg of the tour brought me to the northeast of France into the Alsace region on the border or Germany and Switzerland. This is a lush green expanse of mountains and rivers littered with scores of small rustic villages. It is here where Yaouen lives with his family in the shadow of ancient castles and winding rivers. 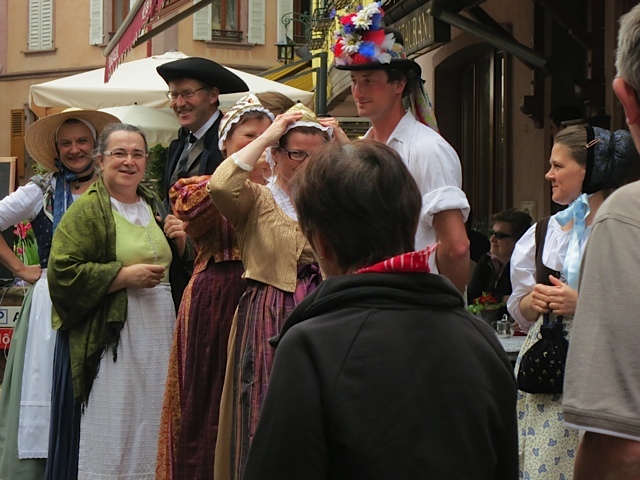 He invited me to the small village of Ribeauvillé where some of the people still dress as they did one thousand years ago. NOTE: The concert date has been changed from June 2 to June 3. John Doan will be performing his Beyond Six Strings concert in Lavin, Switzerland, on June 3, 2012, at 8PM as part of his ongoing harp guitar design and development project with Brunner Guitars on his Concert Tour in Europe 2012. Lavin is located in one of the most beautiful valleys in Switzerland called Engadin. It is an old small town in the middle of the valley surrounded by high mountain peaks. The concert will be in this intimate setting with John playing a travel harp guitar made by Lukas Brunner in Lavin, bringing the harp guitar back home. The European Tour Poster features John playing his Brunner travel harp guitar. The workshop of Brunner Guitars and this most remarkable instrument builder is a must-see destination for fans of the harp guitar. John Doan is a pioneer of a new way of playing the guitar as a master of the twenty-string harp guitar. He is also an Emmy-nominated performer, composer, public speaker, historian, instrument collector, and university professor. Working on our schedule for upcoming shows. Please contact us if you would like to bring a John Doan event to your community. 11th Annual Harp Guitar Retreat turns into a Hair Raising Experience!